HR Management Software has evolved in many ways. A new system has now taken over the conventional Human Resource Management, which has enabled HRs to work in a more systematic and easy way. Over the past decade, HR Management Software has evolved in many ways. A new system has now taken over the conventional Human Resource Management, which has enabled HRs to work in a more systematic and easy way. Now, what are the essentials for an organisation to ensure smooth functioning and progress towards its growth and success? The one answer could possibly be effective and efficient ‘Internal Management’. The organisational division that responsibly executes all these internal processes is Human Resources (HR). As HR builds the foundation of every department in an organisation, it directly affects the employees, and indirectly drives the organisational growth, and hence they must be equipped with advanced HRMS. A recent research by Dale Carnegie also strengthened the positioning of HRs and revealed the fact that companies with engaged employees outperform those without by 202 percent. The days are gone when HR departments were flooded with files and papers. The new digital age has brought along centralised employee database management systems in the form of HRMS, where HRs can systematically manage every task related to employee functioning effectively. Whether it is employee attendance, leave sanctioning, internal job postings, mass recruitments, employee on-boarding, documentation, grievance redressals, payroll management or any other internal employee reports, HRMS don’t just reduce the peer pressure of piling up works for an HR, but also help them to multitask with greater accuracy. This, in turn, ensures effective employee retention and positively affects the company’s growth. One integral part of the internal management of an organisation is managing the end-to-end employee lifecycle. The employee life cycle from attraction, recruitment, and onboarding to development, retention, and separation, is managed by HRs through employee database. Furthermore, a perfect system to leverage the data for analysing and predicting any part of the employee’s journey, including the study of behaviour pattern by tracking rise, peak, and decline of the employee’s productivity can only be ensured with an effective HR management software. Today, with technological advancements, it has become possible for HRs to leverage a quality HRMS to micro-manage every function of an employee’s life cycle. The expanding usage of HRMS has become essential for organisations to grow and sustain. 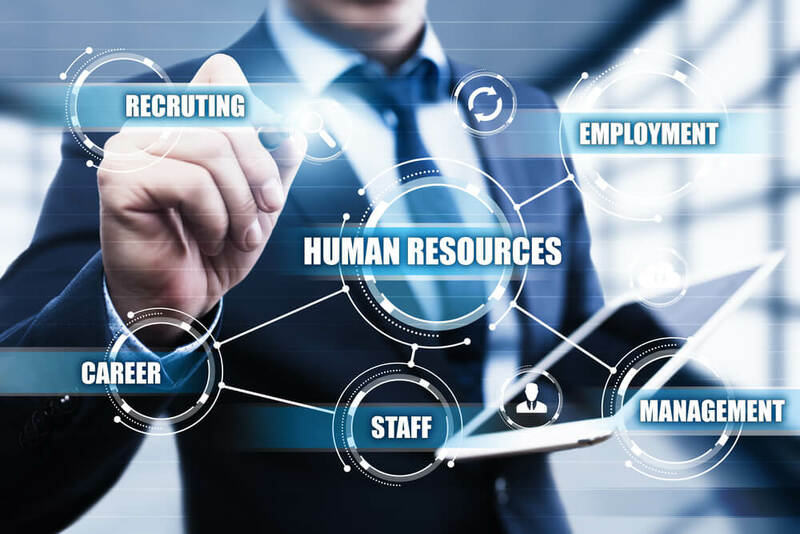 In fact, HR tasks such as talent acquisition, including advance screening and assessment of job applicants, social recruitment, and background verification have also become easy with the digital HRMS. Do you need the physical presence of an HR for every requirement in your office? Well, the technological advancements of HRMS have brought along self-service systems and chatbots for employee assistance. Apart from this, HRMS are also deployed with ESS (Employee Self Service) portals, which helps employees as a SaaS platform in processes like reimbursement of business travel and other expenses, payroll capabilities, managing tax with-holdings, updating personal information, undertaking training lessons and accessing company benefits and information. When employees become a part of the control mechanism and gain the ability to manage their own benefits, this boosts their morale, productivity, and integrity with the company. The reduction in human errors with the use of HRMS also helps employees and the HR to avoid serious financial and legal complications. Today, when diversity, equity, and inclusion have become the new foundation of modern organisations, it has become important for companies to ensure effective grievance management. From industry giants to Unicorns and startups, companies are leveraging the two-stage helpdesk, where chatbots act as the first interface helping employees by answering queries, generating tickets, and processing requests in 24/7 real-time mode and concerned HR personnel become the secondary interface providing satisfactory resolutions. HRMS helps manage the grievances without getting affected by EQ (Emotional Quotient) driven decisions and results in increased happiness quotient of employees. The modern software also engages employees in various corporate and compliance training. The most influential aspect of modern HRMS is ‘error free’ payroll processing. The conventional and tiresome approach of managing employees’ attendance and processing salaries that took days of HR labour can now be completed in a fraction of time. Geo-attendance, a latest feature, helps HRs to manage employees’ attendance from any location and oversee the clock in and clock out timings for remote locations. The GPS, RFID, Wi-Fi, or cellular data featured HRMS enables companies for geo-fencing, helping HRs to micro-manage all remote locations and field activities from one place. The continuous expansion of HRMS has taken analytical tasks under its purview over time. Integration of Business Intelligence tools with HRMS provides real-time analysis of the entire organisation. Furthermore, HRs can leverage big data analytics to assess productivity, efficiency and related aspects of internal management. The analysis of headcount, average tenure, attendance, leave consumed, salary leave encashment, total expense, total tickets, open positions, average training, average resource utilisation, total travel expense, etc. through HRMS can help the management to drive company’s growth and define the future paths.